It's been ages since I've shared a recipe on the blog! 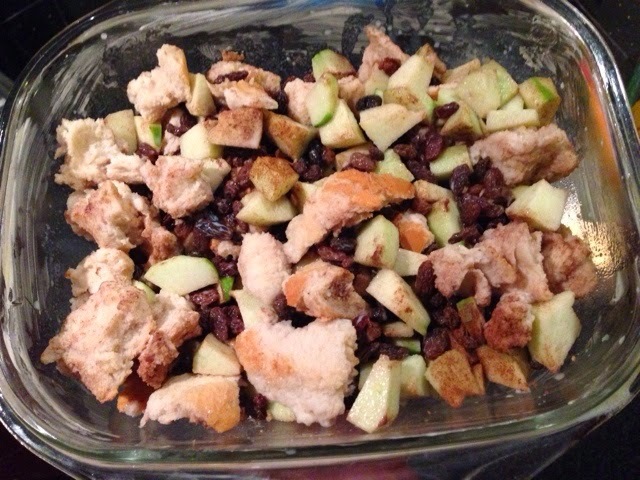 When I saw the lovely Kimberley, from Swoon Worthy and AO at Home, tweeted about easy apple bread pudding I was intrigued. 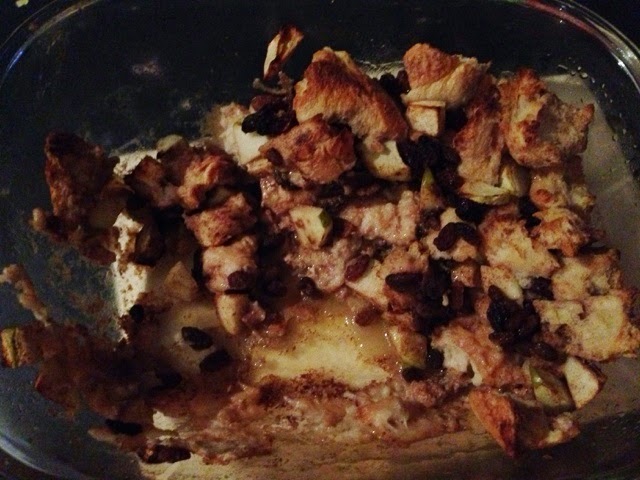 B loves apple desserts and I thought it would be nice to make it for him as a treat last weekend, how nice a wife am I?! (Well I have to do something to cancel out the fact that I grate random veggies in with dinner to make him eat them! Best so far is courgette fritters that I called veggie rostis, he scoffed the lot and loved them but remains adamant that he hates courgettes and refuses to eat the rosti creations again). 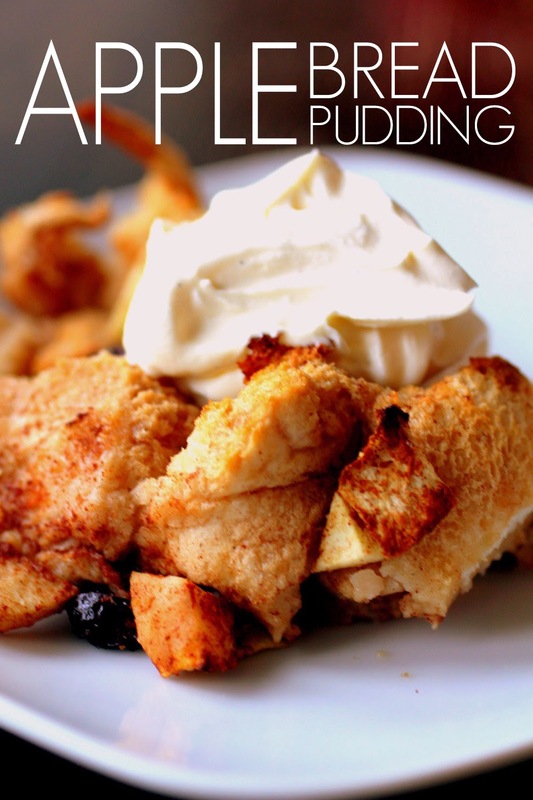 Click on either of the links above to get the recipe, it's super easy with the most time consuming bit peeling and chopping the apples. 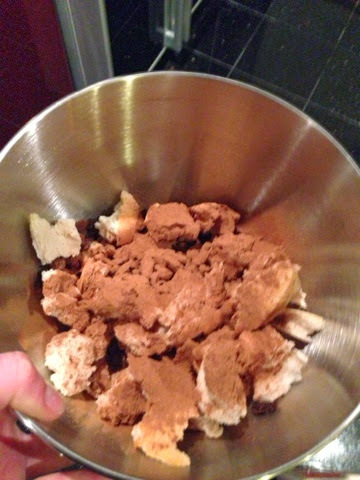 You mix all the dry ingredients together in a bowl and then pour the liquid ones on top and chuck it in the oven. A perfect, hassle free dessert. 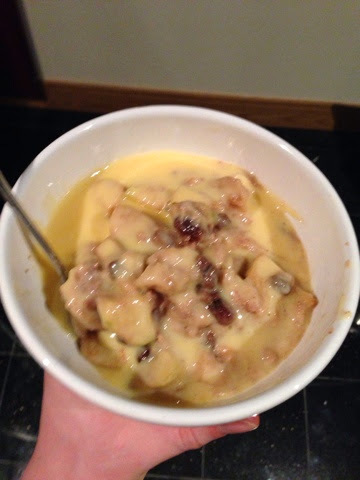 This is how the pudding looked just before I poured the milky egg mixture over the top and popped it in the oven. It smelt so delicious when it was baking, for what seemed like a long 40 minutes, that I forgot to take a picture when it came out the oven before I dished it out....oops bad blogger! Yelp - my new social media heaven!